Where o where is the Aux port? Chrysler Aspen This new SUV adds a luxury touch to the performance and quality that you would expect from a Chrysler Corp. SUV. 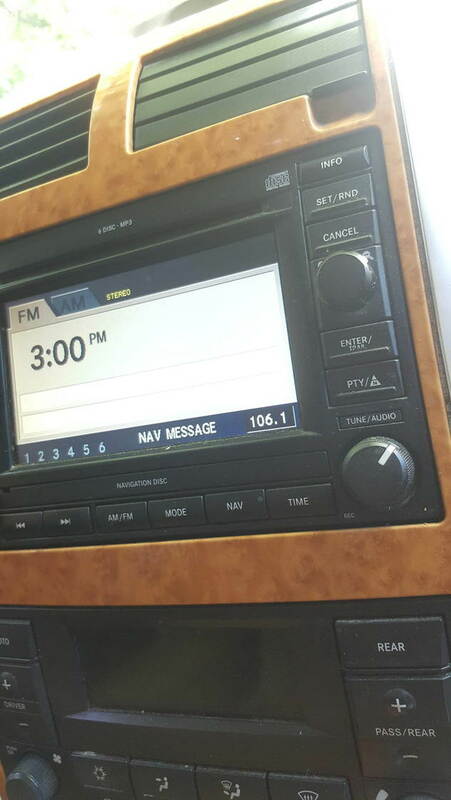 Maybe its because I'm just a newb, but to Chrysler stuff, but I cannot find any Aux connection for audio anywhere in the vehicle. Depending on which radio you have, you can either have a phono AUX plug on the bottom right portion of the radio or you could have a plastic cover in the same bottom right corner of the radio that pops off to reveal a USB port underneath. If you have the USB port, you can load music on to a thumb drive and upload it to the radio. You should read the user manual for the radio for more info. Maybe I just plug something into the RCA ports by the screen for 2nd row? Ah, you have the NAVI system. I don't have that one so I'm not exactly sure of it's AUX input. The RCA ports by the 2nd row seats are for the DVD (VES) system. Technically, you could hook up using the RCA ports and just run through the DVD input. low side service port - Hey Moe! Quick Reply: Where o where is the Aux port?